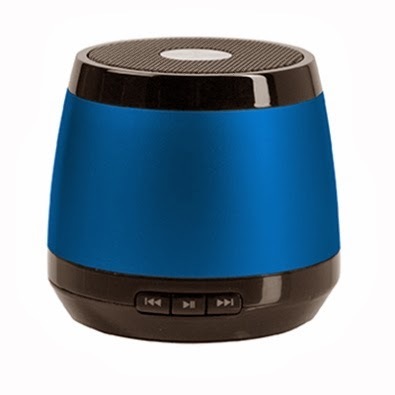 In a variety of colours the Jam Classic speaker is the ideal way to share your favourite tunes with family and friends. It connects wirelessly from up to 10m away so you can leave your smart phone or tablet in one room and dance away in the next! For your chance to win a HMDX Jam Classic Wireless Speaker you can enter via the Rafflecopter entry form below. 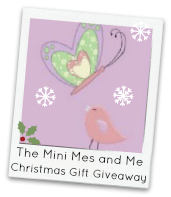 The giveaway closes on 10th December 2013. Make sure you enter the previous competitions and return tomorrow for our next #ChristmasGiftGiveaway! I follow via email and bloglovin. London Calling by the Clash. She Moves in Her Own Way by The Kooks! I have followed you via Bloglovin. Queen - Bring Back Leroy Brown. At the moment it's royals by lorde. Typical, I'm no idea. Um, I'll think of something in a mo, but it probably won't be my most fav ever, just one I like. Always go blank when asked for my favourite something. Oh, something from Nirvana, Heart Shaped Box. PINK FLOYD'S COMFORTABLY NUMB OR ERIC CLAPTONS LAYLA. My favourite song is Popular by Nada Surf. My favourite song is Let Your Love Flow by The Bellamy Brothers. I had not heard it before it was featured on a Barclays bank ad and I;ve loved it ever since and play it whenever I get the chance. If you've not heard it, you must listen to it too, you will be addicted. P!nk "Just like a pill"
I dont ahve a favourite all time song really, I like lots of music. But love a bit of good old bon jovi!